celebration of the great October revolution. The traditional demonstration on 7 November. 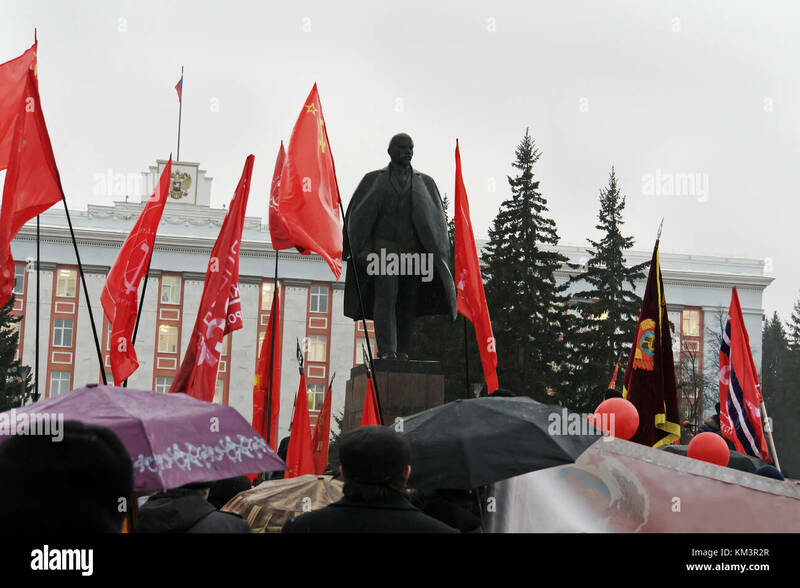 Many people gathered at the monument to Vladimir Lenin in front of the administration.